The ASX managed to regain its losses earlier in the week and we are on high alert going into this important week. For a continued move higher we must now see the ASX hold above 6180 on its way to retest 6206. Should this occur we will look for a move into 6276, and if momentum to the upside is very strong we cannot rule out a move to 6345. If the ASX cannot hold above 6180, we will look for a move back down to 6140 for strong support. A strong break and close below this level however could see the ASX retest 6070, and if downside momentum is very strong we could see a move down to 5985. The DAX was one of the stronger performers last week however can this market continue to rally? We will be discussing the importance of this move in the LIVE CHAT ROOM this week. For a continued move to the upside we must see the DAX hold above 11366. Should this occur we will look for a retest of 11566. This is a very big level and if the DAX can break strongly above this, we will look for moves into 11755 and 11875. If the DAX fails to hold above 11366, we will look for a move back down to 11050 before a pause. Any break below this level however could see the DAX sell-off sharply into 10863 by the end of this week. The S&P continues to find buyers with yet another swing low in place. We will be discussing the importance of this move in the MEMBER PORTAL as it happens. For a move higher we would like to see the S&P hold above 2808. Should this occur we will look for a move into 2838 before a pause. A strong break below this level however see a bigger move into 2870, and if momentum is very strong we cannot rule out a move into 2902 and 2930. If we cannot hold above 2808, we could see this market sell-off into 2760 before another pause. A break of this level however may result in quick move down to 2736; and if momentum to the downside remains strong we may see a move down into 2704. 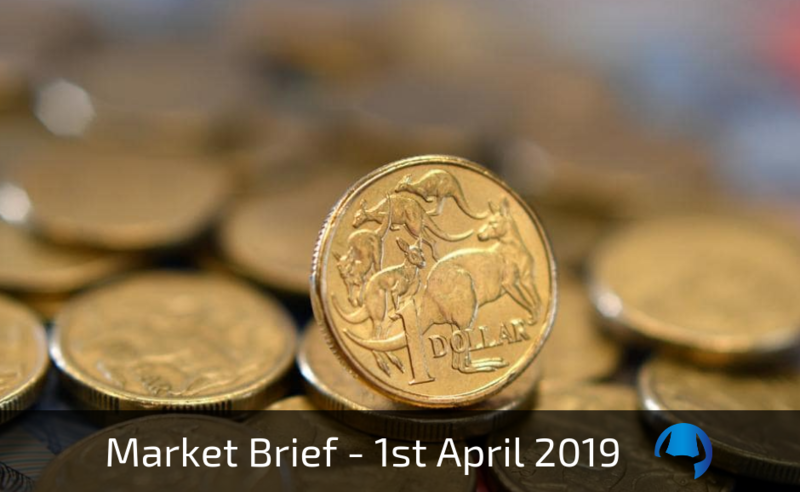 The Aussie Dollar continues to remain in a tight range however this will be a very important week for this market. The Euro is testing a key double bottom area here with plenty of support. Will the buyers step in now? For a move higher we would like to see the EURO close above 1.1249 early in the week. Should this occur we could see a retest into 1.1335 and any breaks above this level may mean a quick move into 1.1453 before a pause. A strong close above this level however could see the EURO rally strong into 1.1496 by the week’s end. If the EURO cannot close above 1.1249, we could see a fast move down into 1.1201 before a pause. A strong break of this level may result in a move into, however any weakness below this level could see a sharp drop into 1.1117 before the week’s end. Following last week’s Brexit upheaval, the Pound is now getting closer to making its move We will again be covering this in more detail in the MEMBER PORTAL. For a continued move to the upside, we would like to see Cable close above 1.3035 and break through 1.3161 this week. Should this occur we will look for a move to 1.3191 and 1.3277; and if momentum is very strong, we could see a re-test of last week’s highs into 1.3386. On the downside, if we cannot close above 1.3035 we will look for a move back down to 1.2868. A break below this level however could see this market retest the important 1.2720 level; and if momentum to the downside is strong we cannot rule out a bigger move down to 1.2622. Like the S&P the YEN has has found a base at the key 109.94 level which we have been speaking about for sometime. For a move to the upside we must now see this market hold strongly above 109.94. Should this occur we could see a strong move into 111.09. A strong break and close above this level could then see the $/YEN rally into 111.73, and if momentum is extremely strong to the upside 112.68 cannot be ruled out. If we cannot hold above 109.94, we will look for another quick retest of 109.21. A break below this level however may result in a fast move down to 108.31, and if the downside remains very strong we cannot rule out a sell-off into 107.75. Gold is showing weakness and a strong move down last Thursday ensured Gold finished the week down.